Ismāʿīlism (Arabic: الإسماعيلية‎ al-Ismāʿīliyya; Persian: اسماعیلیان‎; Sindhi: اسماعيلي‎; Esmāʿīliyān) is a branch of Shia Islam. The Ismāʿīlī (/ˌɪsmeɪˈɪli/) get their name from their acceptance of Imam Isma'il ibn Jafar as the appointed spiritual successor (Imām) to Ja'far al-Sadiq, wherein they differ from the Twelvers who accept Musa al-Kadhim, younger brother of Isma'il, as the true Imām. After the death of Muhammad ibn Isma'il in the 8th century CE, the teachings of Ismailism further transformed into the belief system as it is known today, with an explicit concentration on the deeper, esoteric meaning (batin) of the Islamic religion. With the eventual development of Twelverism into the more literalistic (zahir) oriented Akhbari and later Usuli schools of thought, Shi'i Islam developed into two separate directions: the metaphorical Ismaili group focusing on the mystical path and nature of God, with the "Imām of the Time" representing the manifestation of esoteric truth and intelligible reality, with the more literalistic Twelver group focusing on divine law (sharia) and the deeds and sayings (sunnah) of Muhammad and the Twelve Imams who were guides and a light to God. Though there are several paths (tariqat) within Ismailism, the term in today's vernacular generally refers to the Nizaris, who recognize Aga Khan IV as the 49th hereditary Imam and are the largest Ismaili group. In recent centuries Ismāʿīlīs have largely been a Pakistani and Indian community, but Ismailis are also found in Bangladesh, Malaysia, Syria, Iran, Saudi Arabia, Yemen, Jordan, Iraq, East Africa, Angola, Lebanon, and South Africa, and have in recent years emigrated to Europe, Canada, Australia, New Zealand, the United States, and Trinidad and Tobago. There are also a significant number of Ismāʿīlīs in Central Asia. The conflict remained relatively peaceful between the partisans of ‘Ali and those who asserted a semi-democratic system of electing caliphs, until the third of the Rashidun caliphs, Uthman was killed, and ‘Alī, with popular support, ascended to the caliphate. Soon after his ascendancy, Aisha, the third of the Prophet's wives, claimed along with Uthman's tribe, the Ummayads, that Ali should take Qisas (blood for blood) from the people responsible for Uthman's death. ‘Ali voted against it as he believed that situation at that time demanded a peaceful resolution of the matter. Both parties could rightfully defend their claims, but due to escalated misunderstandings, the Battle of the Camel was fought and Aisha was defeated but was respectfully escorted to Medina by Ali. This battle would become extremely important to the Shi'i psyche. The Twelvers as well as Mustaali Ismāʿīlī still mourn this event during an occasion known as Ashura. The Nizari Ismāʿīlī, however, do not mourn this in the same way because of the belief that the light of the Imām never dies but rather passes on to the succeeding Imām, making mourning arbitrary. However, during commemoration they do not have any celebrations in Jamatkhana during Muharram and may have announcements or sessions regarding the tragic events of Karbala. Also individuals may observe Muharram in a wide variety of ways. This respect for Muharram does not include self-flagellation and beating because they feel that harming one's body is harming a gift from Allah. After being set free by Yazid, Zaynab bint Ali, the daughter of Fatimah and Ali and the sister of Hasan and Husayn, started to spread the word of Karbala to the Muslim world, making speeches regarding the event. This was the first organized daʿwah of the Shia, which would later develop into an extremely spiritual institution for the Ismāʿīlīs. After the poisoning of Ali ibn Husayn Zayn al-Abidin by Hisham ibn Abd al-Malik in 713, Shiism's first succession crisis arose with Zayd ibn ‘Alī's companions and the Zaydīs who claimed Zayd ibn ‘Alī as the Imām, whilst the rest of the Shia upheld Muhammad al-Baqir as the Imām. The Zaidis argued that any sayyid or "descendant of Muhammad through Hasan or Husayn" who rebelled against tyranny and the injustice of his age could be the Imām. The Zaidis created the first Shi'i states in Iran, Iraq and Yemen. In contrast to his predecessors, Muhammad al-Baqir focused on academic Islamic scholarship in Medina, where he promulgated his teachings to many Muslims, both Shia and non-Shia, in an extremely organized form of Daʿwah. 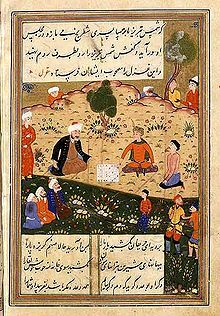 In fact, the earliest text of the Ismaili school of thought is said to be the Umm al-kitab (The Archetypal Book), a conversation between Muhammad al-Baqir and three of his disciples. However, following al-Sadiq's poisoning in 765, a fundamental split occurred in the community. Isma'il ibn Jafar, who at one point was appointed by his father as the next Imam, appeared to have predeceased his father in 755. While Twelvers argue that either he was never heir apparent or he truly predeceased his father and hence Musa al-Kadhim was the true heir to the Imamate, the Ismāʿīlīs argue that either the death of Isma'il was staged in order to protect him from Abbasid persecution or that the Imamate passed to Muhammad ibn Isma'il in lineal descent. For some partisans of Ismāʿīl, the Imāmate ended with Ismāʿīl ibn Ja'far. Most Ismailis recognized Muhammad ibn Isma'il as the next Imam and some saw him as the expected Mahdi that Ja'far al-Sadiq had preached about. However, at this point the Ismāʿīlī Imāms according to the Nizari and Mustaali found areas where they would be able to be safe from the recently founded Abbasid Caliphate, which had defeated and seized control from the Umayyads in 750 CE. At this point, some of the Ismaili community believed that Muhammad ibn Ismail had gone into the Occultation and that he would one day return. A small group traced the Imamat among Muhammad ibn Ismail's lineal descendants. With the status and location of the Imāms not known to the community, the concealed Ismaili Imams began to propagate the faith through Dāʿiyyūn from its base in Syria. This was the start of the spiritual beginnings of the Daʿwah that would later play important parts in the all Ismaili branches, especially the Nizaris and the Musta'lis. Ja‘far bin Manṣūr al-Yaman's The Book of the Sage and Disciple is a classic of early Fāṭimid literature, documenting important aspects of the development of the Ismāʿīlī da‘wa in tenth-century Yemen. The book is also of considerable historical value for modern scholars of Arabic prose literature as well as those interested in the relationship of esoteric Shī‘ism with early Islamic mysticism. Likewise is the book an important source of information regarding the various movements within tenth-century Shī‘ism leading to the spread of the Fāṭimid-Isma‘īlī da‘wa throughout the medieval Islamicate world, and the religious and philosophical history of post-Fāṭimid Musta‘lī branch of Ismāʿīlism in Yemen and India. While many of the Ismāʿīlī were content with the Dai teachings, a group that mingled Persian nationalism and Zoroastrianism surfaced known as the Qarmatians. With their headquarters in Bahrain, they accepted a young Persian former prisoner by the name of Abu'l-Fadl al-Isfahani, who claimed to be the descendant of the Persian kings as their Mahdi, and rampaged across the Middle-East in the tenth century, climaxing their violent campaign by stealing the Black Stone from the Kaaba in Mecca in 930 under Abu Tahir al-Jannabi. Following the arrival of the Al-Isfahani, they changed their qibla from the Kaaba in Mecca to the Zoroastrian-influenced fire. After their return of the Black Stone in 951 and a defeat by the Abbasids in 976 the group slowly dwindled off and no longer has any adherents. In parallel with the dynasty's claim of descent from ‘Alī and Fāṭimah, the empire was named "Fatimid". However, this was not without controversy, and recognizing the extent that Ismāʿīlī doctrine had spread, the Abbasid Caliphate assigned Sunni and Twelver scholars the task to disprove the lineage of the new dynasty. This became known as the Baghdad Manifesto and it traces the lineage of the Fatimids to a Jewish blacksmith. The Fatimid Caliphate expanded quickly under the subsequent Imāms. Under the Fatimids, Egypt became the center of an empire that included at its peak North Africa, Sicily, Palestine, Syria, the Red Sea coast of Africa, Yemen, Hejaz and the Tihamah. Under the Fatimids, Egypt flourished and developed an extensive trade network in both the Mediterranean Sea and the Indian Ocean, which eventually determined the economic course of Egypt during the High Middle Ages. Also during this period the three contemporary branches of Ismailism formed. The first branch (Druze) occurred with the al-Hakim bi-Amr Allah. Born in 985, he ascended as ruler at the age of eleven. A religious group that began forming in his lifetime broke off from mainstream Ismailism and refused to acknowledge his successor. Later to be known as the Druze, they believe Al-Hakim to be the manifestation of God and the prophesied Mahdi, who would one day return and bring justice to the world. The faith further split from Ismailism as it developed unique doctrines which often class it separately from both Ismailism and Islam. Arwa al-Sulayhi was the Hujjah in Yemen from the time of Imam al Mustansir. She appointed the Dai in Yemen to run religious affairs. Ismaili missionaries Ahmed and Abadullah (in about 1067 CE (460 AH)) were also sent to India in that time. They sent Syedi Nuruddin to Dongaon to look after southern part and Syedi Fakhruddin to East Rajasthan, India. The second split occurred following the death of al-Mustansir Billah in 1094 CE. His rule was the longest of any caliph in both the Fatimid and other Islamic empires. After he died, his sons Nizar, the older, and al-Musta'li, the younger, fought for political and spiritual control of the dynasty. Nizar was defeated and jailed, but according to Nizari sources his son escaped to Alamut, where the Iranian Ismāʿīlī had accepted his claim. The Mustaali line split again between the Taiyabi and the Hafizi, the former claiming that the 21st Imām and son of al-Amir bi-Ahkami'l-Lah went into occultation and appointed a Dāʿī al-Muṭlaq to guide the community, in a similar manner as the Ismāʿīlī had lived after the death of Muhammad ibn Ismail. The latter claimed that the ruling Fatimid caliph was the Imām. According to Taiyabi Ismaili tradition, after the death of Imām al-Amīr, his infant son, at-Tayyib Abu'l-Qasim, about 2 years old, was protected by the most important woman in Musta'li history after the Prophet's daughter, Fatimah. She was Arwa al-Sulayhi, a queen in Yemen. She was promoted to the post of hujjah long before by Imām Mustansir at the death of her husband. She ran the dawat from Yemen in the name of Imaam Tayyib. She was instructed and prepared by Imām Mustansir and ran the dawat from Yemen in the name of Imaam Tayyib, following Imāms for the second period of Satr. It was going to be on her hands, that Imām Tayyib would go into seclusion, and she would institute the office of the Dāʻī al-Mutlaq. Zoeb bin Moosa was first to be instituted to this office. Dai continued in Yemen up to 24th Dai Yusuf who shifted Dawat to India. . Before the shift of Dawat in India Dai's representative were known as Wali-ul-Hind. Syedi Hasan Feer was one of the prominent Ismaili wali of 14th century. The line of Tayyib Dais that began in 1132 is still continuing under the main sect known as Dawoodi Bohra (see list of Dai of Dawoodi Bohra). After the 27th Dai, Syedna Dawood bin Qutub Shah, there was another split; the ones following Syedna Dawood came to be called Dawoodi Bohra, and followers of Suleman were then called Sulaimani. Dawoodi Bohra's present Dai al Mutlaq, the 53rd, is Syedna Mufaddal Saifuddin, and he and his devout followers tread the same path, following the same tradition of the Aimmat Fatimiyyeen. The Sulaymani are mostly concentrated in Yemen and Saudi Arabia with some communities in the South Asia. The Dawoodi Bohra and Alavi Bohra are mostly exclusive to South Asia, after the migration of the Da'wah from Yemen to India. Other groups include Atba-i-Malak and Hebtiahs Bohra. Mustaali beliefs and practices, unlike those of the Nizari and Druze, are completely compatible with mainstream Islam, representing a continuation of Fatimid tradition and fiqh. In the 1040s, the Zirid dynasty (governors of the Maghreb under the Fatimids) declared their independence and their conversion to Sunni Islam, which led to the devastating Banu Hilal invasions. After about 1070, the Fatimid hold on the Levant coast and parts of Syria was challenged by first Turkish invasions, then the First Crusade, so that Fatimid territory shrunk until it consisted only of Egypt. Damascus fell to the Seljuk Empire in 1076, leaving the Fatimids only in charge of Egypt and the Levantine coast up to Tyre and Sidon. Because of the vehement opposition to the Fatimids from the Seljuks, the Ismaili movement was only able to operate as a terrorist underground movement, much like the Assassins. After the decay of the Fatimid political system in the 1160s, the Zengid ruler Nur ad-Din, atabeg of Aleppo had his general, Saladin, seize Egypt in 1169, forming the Sunni Ayyubid dynasty. This signaled the end of the Hafizi Mustaali branch of Ismailism as well as the Fatimid Caliphate. Very early in the empire's life, the Fatimids sought to spread the Ismāʿīlī faith, which in turn would spread loyalty to the Imāmate in Egypt. One of their earliest attempts was taken by a missionary by the name of Hassan-i Sabbah. Legend holds that he met with Imām al-Mustansir Billah and asked him who his successor would be, to which he responded that it would be his eldest son Nizar (Fatimid Imam). Though it had successfully warded off Sunni attempts to take it several times, including one by Saladin, the stronghold at Alamut soon met its destruction. By 1206, Genghis Khan had managed to unite many of the once antagonistic Mongol tribes into a ruthless, but nonetheless unified, force. Using many new and unique military techniques, Genghis Khan led his Mongol hordes across Central Asia into the Middle East, where they won a series of tactical military victories using a scorched earth policy. The Nizari have maintained large populations in Syria, Uzbekistan, Tajikistan, Afghanistan, Pakistan, India, and they have smaller populations in China and Iran. This community is the only one with a living Imām, whose title is the Aga Khan. Badakhshan, which includes parts of northeastern Afghanistan and southeastern Tajikistan, is the only part of the world where Ismailis make up the majority of the population. The Tajiks of Xinjiang, being Ismaili, were not subjected to being enslaved in China by Sunni Muslim Turkic peoples because the two peoples did not share a common geographical region. . The Burusho people of Pakistan are also Nizaris. However, due to their isolation from the rest of the world, Islam reached the Hunza about 350 years ago. Ismailism has been practiced by the Hunza for the last 300 years. The Hunza have been ruled by the same family of kings for over 900 years. They were called Kanjuts. Sunni Islam never took root in this part of central Asia so even now, there are less than a few dozen sunnis living among the Hunza. One of the most important texts in Ismaili historiography is the ʿUyun al-akhbar, which is a reference source on the history of Ismailism that was composed in 7 books by the Tayyibi Musta‘lian Ismaili da‘i-scholar, Idris Imad al-Din (born ca. 1392). This text presents the most comprehensive history of the Ismaili imams and da‘wa, from the earliest period of Muslim history until the late Fatimid era. The author, Idris Imad al-Din, descended from the prominent al-Walid family of the Quraysh in Yemen, who led the Tayyibi Musta‘lian Ismaili da‘wa for more than three centuries. This gave him access to the literary heritage of the Ismailis, including the majority of the extant Fatimid manuscripts transferred to Yemen. The ‘Uyun al-akhbar is being published in 7 volumes of annotated Arabic critical editions as part of an institutional collaboration between the Institut Français du Proche Orient (IFPO) in Damascus and The Institute of Ismaili Studies (IIS) in London. This voluminous text has been critically edited based on several old manuscripts from The Institute of Ismaili Studies' vast collection. These academic editions have been prepared by a team of Syrian and Egyptian scholars, including Dr Ayman F­ Sayyid, and this major publication project has been coordinated by Dr Nader El-Bizri (IIS) and Dr Sarab Atassi-Khattab (IFPO). The Natiq and the Wasi are in turn succeeded by a line of seven Imāms, who guard what they received. The seventh and last Imām in any period becomes the Natiq of the next period. The last Imām of the sixth period, however, would not bring about a new religion of law but rather supersede all previous religions, abrogate the law and introduce din Adama al-awwal ("the original religion of Adam") practised by Adam and the angels in paradise before the fall, which would be without ritual or law but consist merely in all creatures praising the creator and recognizing his unity. This final stage was called the Qiyamah. symbol of the Agha Khan. The largest part of the Ismāʿīlī community, the Qasim-Shahi Nizari Ismāʿīlīs, today accept Prince Karim Aga Khan IV as their 49th Imām, who they claim is descended from Muḥammad through his daughter Fāṭimah az-Zahra and 'Ali, Muḥammad's cousin and son-in-law. The 46th Ismāʿīlī Imām, Aga Hassan ‘Alī Shah, fled Iran in the 1840s after being blamed for a failed coup against the Shah of the Qajar dynasty. Aga Hassan ‘Alī Shah settled in Mumbai in 1848. In time, the seat for one chain of the Dai was split between India and Yemen as the community split several times, each recognizing a different Dai. Today, the Dawoodi Bohras, which constitute the majority of the Mustaali Ismāʿīlī accept Mufaddal Saifuddin as the 53rd Dāʿī al-Muṭlaq. The Dawoodi Bohras are based in India, along with the Alavi Bohra. Minority groups of the Sulaymani, however, exist in Yemen and Saudi Arabia. In recent years, there has been a rapprochement between the Sulaymani, Dawoodi and Alavi Mustaali sub-sects. The position of Da'i al-Mutlaq is currently disputed after the demise of the 52nd Da'i al-Mutlaq of the Dawoodi Bohra community, Mohammed Burhanuddin. Two claimants emerged for the position of 53rd Da'i al-Mutlaq, Mufaddal Saifuddin and Khuzaima Qutbuddin, and a case is pending in the Bombay High Court to resolve the matter. Qutbuddin has since died and appointed his son Taher Fakhruddin as his successor. Besides speaking the local languages, the Dawoodis have their own language called Lisānu l-Dāʻwat "Tongue of the Dāʻwat". 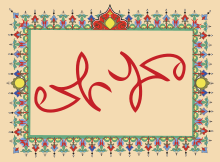 This is written in the Persian alphabet but is derived from Urdu, Gujarati and Arabic and Persian. Founded in 1592, the Sulaymani are mostly concentrated in Yemen but are also found in Pakistan and India. The denomination is named after its 27th Daʻī, Sulayman bin Hassan. They are referred and prefer to be referred as Ahle-Haq Isma'ilis and Sulaymanis and not with the Bohras suffix. The total number of Sulaymanis currently are around 300,000, mainly living in the eastern district of Jabal Haraz in northwest Yemen and in Najran, Saudi Arabia. Beside the Banu Yam of Najran, the Sulaymanis are in Haraz, among the inhabitants of the Jabal Maghariba and in Hawzan, Lahab and Attara, as well as in the district of Hamadan and in the vicinity of Yarim. In India there are between 3000 and 5000 Sulaymanis living mainly in Vadodara, Hyderabad, Mumbai and Surat. In Punjab, Pakistan, there is a well-established Sulaymani community in Sind. Some ten thousand Sulaymanis live in rural areas of Punjab known to the Sulaymani as Jazeera-e Sind; these Sulaymani communities have been in the Jazeera-e Sind from the time of Fatimid Imam-Caliph al-Mu'izz li-Din Allah when he sent his Daʻīs to Jazeera-e Sind. There are also some 900–1000 Sulaymanis mainly from South Asia scattered around the world, in the Persian Gulf States, United States, Canada, Thailand, Australia, Japan and the United Kingdom. The ‘Alavi Bohras, popularly and incorrectly known as Alya Bohras, follow a different line of succession of Du’aat (missionaries) from the 29th da’i onwards after the split from Da’udi Bohras in Ahmedabad in 1621 CE. They believe the rightful da’i was a grandson of the 28th da’i named ‘Ali Shams al-Din b. Ibrahim (d. 1046 AH/1637 CE). They are named after this ‘Ali, calling themselves ‘Alavis, and their mission ad-Da’wat ul-Haadiyat ul-‘Alaviyah. Three da’is later, in 1110 AH/1699 CE, the seat of the ‘Alavi Da’wat was moved from Ahmedabad to Vadodara by 32nd da’i, acting on the will of 31st da’i (except for a brief interlude in Surat for 20 years 1158-1178 AH/1745-1764 CE). Since then Vadodara remains the headquarters of the ‘Alavis to this day. The ‘Alavi Bohras have a library of 450 Isma’ili manuscripts, some up to 500 years old, at their centre in Vadodara. While lesser known and smallest in number, Alavi Bohras have their spiritual and temporal head as the 45th dāʿī al-muṭlaq, Haatim Zakiyuddin. The doctrines of Alavi Bohras is centered in the recognition of Imam. It continues to be the most important foundation among Bohras. In fact, dai al-mutlaq acts as a direct representative of the concealed Imam as he receives required guidance from him. During this time of the concealment of 21st Fatimid Imam at-Taiyeb and his progeny, the religious hierarchy of the Alavi Bohras is headed by the Dāʻī al-Mutlaq, who is appointed by his predecessor in office and similar as of Dawoodi Bohra. The Atba-i Malak jamaat (community) are a branch of Mustaali Ismaili Shi'a Islam that broke off from the mainstream Dawoodi Bohra after the death of the 46th Da'i al-Mutlaq, under the leadership of Abdul Hussain Jivaji. They have further split into two more branches, the Atba-i-Malak Badar and Atba-i-Malak Vakil. The Progressive Dawoodi Bohra is a reformist sect within Musta'li Ismai'li Shi'a Islam that broke off circa 1977. They disagree with mainstream Dawoodi Bohra, as led by the Da'i al-Mutlaq, on doctrinal, economic and social issues. According to the historian Yaqut al-Hamawi, the Böszörmény (Izmaelita or Ismaili/Nizari) denomination of the Muslims who lived in the Kingdom of Hungary in the 10–13th centuries, were employed as mercenaries by the kings of Hungary. However following the establishment of the Christian Kingdom of Hungary their community was Christianized by the end of the 13th century. This branch held that whoever the political ruler (caliph) of the Fatimid Caliphate was, was also the Imam of the Time, after the reign of Al-Amir, Al-Hafiz was recognized as the Imam of the Time as well as his descendants. The Hafizi Ismaili sect had 26 Imams. The Hafizi sect lived on into the 14th century AD with adherents in Northern Egypt and Syria but had died out by the 15th century AD. A branch of the Ismāʿīlī known as the Sab'īyah "Seveners" hold that Ismāʿīl's son, Muhammad ibn Ismail, was the seventh and final Ismāʿīlī Imam, who is said to be in the Occultation. However, most scholars believe this group is either extremely small or non-existent today. The Qaramita were the most active branch of the Seveners. ^ "Ismaʿili". Random House Webster's Unabridged Dictionary. ^ "Religion of My Ancestors". Retrieved 25 April 2007. ^ "Shaykh Ahmad al-Ahsa'i". Retrieved 25 April 2007. ^ "Ismaili Philosophy | Internet Encyclopedia of Philosophy". www.iep.utm.edu. Retrieved 1 April 2016. ^ "Early Philosophical Shiism". Cambridge University Press. Retrieved 1 April 2016. ^ Dr. Sarfaroz Niyozov, University of Toronto "Shi'a Ismaili Tradition in Central Asia – Evolution, and Continuities and Changes". Retrieved 20 March 2012. ^ Turner, Colin (2006). Islam: The Basics. Psychology Press. ISBN 9780415341059. ^ "Imam Ali". Retrieved 24 April 2007. ^ "The Kharijites and their impact on Contemporary Islam". Retrieved 24 April 2007. ^ Virani, Shafique (2007). The Ismailis in the Middle Ages: A History of Survival, a Search for Salvation: A History of Survival, a Search for Salvation. Oxford University Press, USA. ISBN 978-0-19-804259-4. ^ "Ali bin Abu Talib". Retrieved 24 April 2007. ^ "Battle of Karbala' | Islamic history". Encyclopedia Britannica. Retrieved 18 September 2017. ^ "Hussain bin Ali". Retrieved 24 April 2007. ^ "Ashoura through the eyes of Sunnis". Al-Monitor. 9 November 2014. Retrieved 18 September 2017. ^ "Karbala in Istanbul: Scenes from the Ashura Commemorations of Zeynebiye - Ajam Media Collective". Ajam Media Collective. 3 November 2014. Retrieved 18 September 2017. ^ "Imam Baqir". Retrieved 24 April 2007. ^ "Imam Ja'far b. Muhammad al Sadi'q". Retrieved 24 April 2007. ^ "Qarmatiyyah". Archived from the original on 28 April 2007. Retrieved 24 April 2007. ^ "MUHAMMAD AL-MAHDI (386-411/996-1021)". Retrieved 17 December 2008. ^ "al-Hakim bi Amr Allah: Fatimid Caliph of Egypt". Retrieved 24 April 2007. ^ Ildikó Bellér-Hann (2007). Situating the Uyghurs between China and Central Asia. Ashgate Publishing, Ltd. p. 20. ISBN 0-7546-7041-4. Retrieved 30 July 2010. ^ Sir Thomas Douglas Forsyth (1875). Report of a mission to Yarkund in 1873, under command of Sir T. D. Forsyth: with historical and geographical information regarding the possessions of the ameer of Yarkund. Printed at the Foreign department press. p. 56. Retrieved 23 January 2011. ^ "The Institute of Ismaili Studies publications news". Retrieved 9 September 2010. ^ "IsmailiMail news". Retrieved 9 September 2010. ^ a b "Isma'ilism". Retrieved 24 April 2007. ^ "What Does Mawlana Hazar Imam Do with the Religious Dues given by the Community?". The Essential Ismaili & Ismaili Gnosis. Retrieved 5 November 2017. ^ "The Ismaili: His Highness the Aga Khan". Archived from the original on 6 November 2011. Retrieved 5 December 2008. ^ "Muslim Sect Sees Struggle Through Christian Lens". The New York Times. 21 October 2010. ^ Daftary, Farhad (2007). The Isma'ilis: Their History and Dcotrines. New York: Cambridge University Press & The Institute of Ismaili Studies. p. 282. ISBN 978 0 521 61636 2. ^ "Islamic Voice". Islamic Voice. 12 February 1998. Archived from the original on 6 March 2001. Retrieved 26 December 2012. ^ "The Official Website of The Amman Message - The Three Points of The Amman Message V.1". Ammanmessage.com. Retrieved 26 December 2012. ^ "Letter by His Highness the Aga Khan endorsing the Amman Message and the fatwa". Retrieved 29 July 2012. ^ "Introduction by HRH PRINCE GHAZI BIN MUHAMMAD". Retrieved 29 July 2012. ^ Bosch, Torie (16 August 2012). "Saudi Arabia Apparently Objects to .Catholic, .Gay, .Bible, and 28 More Proposed New Top-Level Domains". Slate. This page was last edited on 8 April 2019, at 05:16 (UTC).